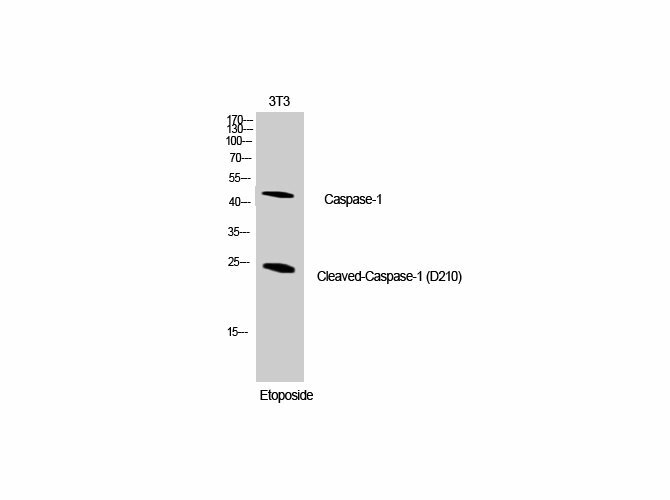 Synthesized peptide derived from the Internal region of human Caspase-1. Small volumes of anti-Casp1 antibody vial(s) may occasionally become entrapped in the seal of the product vial during shipment and storage. If necessary, briefly centrifuge the vial on a tabletop centrifuge to dislodge any liquid in the container`s cap. Certain products may require to ship with dry ice and additional dry ice fee may apply. Western Blot analysis of NIH-3T3 cells using Cleaved-Caspase-1 (D210) Polyclonal Antibody at dilution of 1:1000. 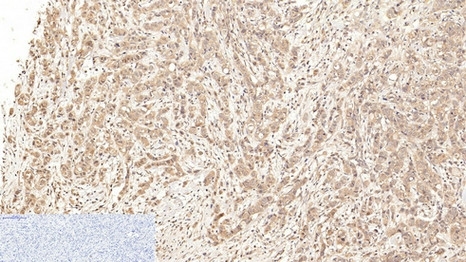 Immunohistochemistry of paraffin-embedded Human breast cancer tissue using Cleaved-Caspase-1 (D210) Polyclonal Antibody at dilution of 1:200. Immunofluorescence analysis of Human stomach cancer tissue using Cleaved-Caspase-1 (D210) Polyclonal Antibody at dilution of 1:200. NCBI/Uniprot data below describe general gene information for Casp1. It may not necessarily be applicable to this product. 1. The expression of caspase-1-activated cytokines IL-1beta and IL-18 plays a pivotal role in acute renal injury in rats with experimental severe acute pancreatitis. Caspase-1 inhibition improves renal function effectively.